We just love the way how HTC comes up with quality handsets: Nexus One, HTC HD2, HTC Desire and the EVO 4G are prime examples of this. And to push that limit even further, HTC has just announced at their event in London two new Android powered phones: HTC Desire HD and HTC Desire Z. Both smartphones pack the hardware which we always wanted! Also introduced is a new service from HTC called HTCSense.com, details after the break. 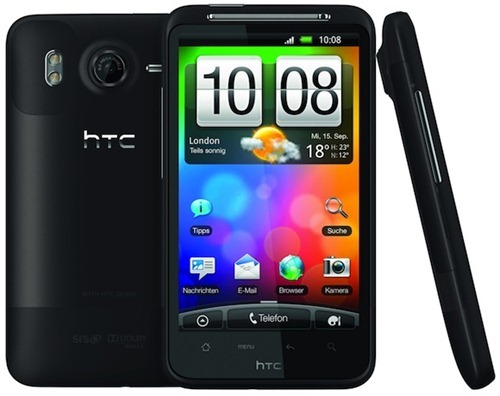 It would be wise to call the HTC Desire HD the GSM version of the EVO 4G, in fact it is better than the EVO in many ways! Desire HD packs a huge 4.3’’ LCD display just like the one which we’ve seen on the EVO 4G and HTC HD2, unfortunately though, it is SLCD display and not AMOLED or Super AMOLED that we’d wish it to be. It has our favorite demon processor inside it’s core, the 1GHz Snapdragon processor, which also powers the Nexus One. It has WiFi 802.11n for super fast connectivity, a whooping 8MP camera with 720p video recording to satisfy your photographic and video desires. And the best part is, it has an Aluminum unibody design just like the HTC Legend. It runs Android 2.2 Froyo with a new version of HTC’s Sense UI on top! There’s no word on pricing yet. Desire HD will go on sale in Europe and Asia in October this year. 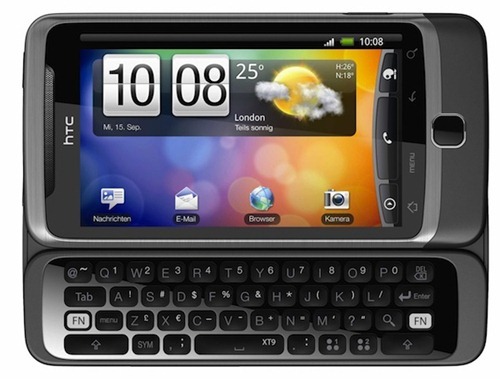 HTC Desire Z is HTC’s yet another attempt on a Android powered handset with a QWERTY slider. It has the same keys layout which we’ve seen on the HTC TouchPro 2 (Windows Phone handset), and the keys do look quite comfortable to type on. The internals of the phone might not be that impressive but if you prefer physical keyboard, this phone is for you. It has an 800 MHz Qualcomm processor. Has the same 802.11n connectivity which we mentioned on the Desire HD. A 5MP camera compared to Desire HD’s 8MP, but it shoots 720p video as well. The Desire Z will also be available in October this year for European and Asian markets. HTCSense.com is an online service like Microsoft My Phone (for Windows Phones) through which you can make backup of your HTC phone’s settings, and even restore them over-the-air anywhere you like. You can control your smartphone in real time and in case if it gets stolen, you can remotely wipe everything off your device like Apple’s MobileMe service, that includes everything! That’s not it, HTC has introduced a new security feature which would enable the phone to ring even when it is dead silent and will give away the location of the handset on a map in case of theft. And guess what? The first devices to incorporate this feature are the HTC Desire HD and the Desire Z, but we’re hoping that this feature will come to current generation of HTC smartphones as well. Nexus One Does 720p HD Video Recording !